Diversionary fun; no real story. 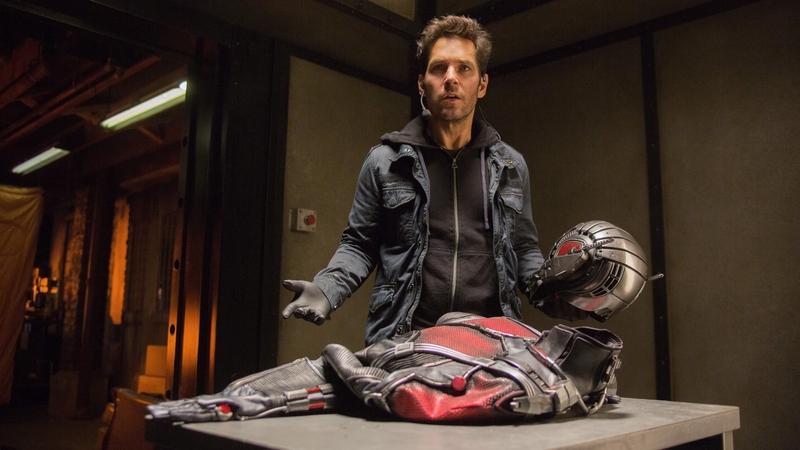 That rare instance when a sound structural narrative matters not, Ant-Man delivers a solid piece of entertainment that everyone can enjoy. Bolstered by performances from Paul Rudd and Michael Peña, this midsummer’s comic book offering skirts the need for a story to mean something by simply focusing on the likability of characters and entertaining fight scenes that deliver more than crumbling high rises. The film stands as a Tale—not an actual story, at least not in the Dramatica sense of the word. The Dramatica theory of story defines a story as an analogy to a single human mind trying to solve a problem. Ant-Man prefers gags and diversion over arguing the appropriate way to solve a problem. The film is unbelievably fun and somehow unique and different when compared to most Marvel movies. If nothing else it exists as a prime example of how you can sometimes get away with putting narrative second—as long as you have Rudd and Peña to back you up.